Microsoft has again been discussing features on the way to the Windows 10 Fall Creators Update. The latest blog post revelations concern computer security and how Microsoft is 'hardening' Windows. Protection from malware and other attack vectors is increasingly important in the connected world and lately there have been a number of high profile computer hacking news stories. 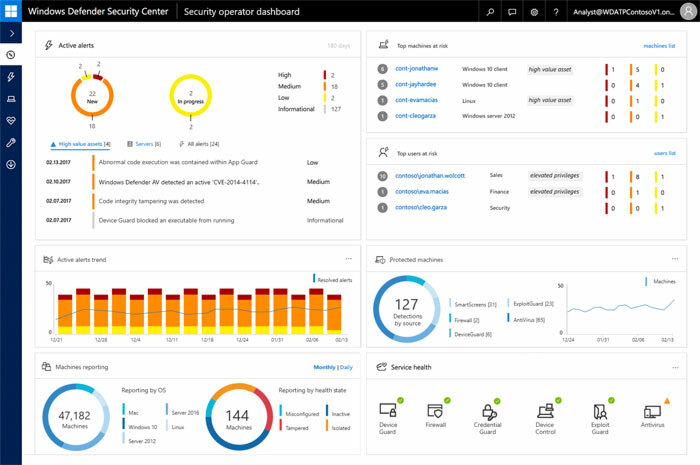 At the heart of Microsoft's new proposition for handling cyber threats is "a highly differentiated vision that brings together advanced data science, machine learning, automation, and behavioural analysis". Thanks to this technology Microsoft sounds confident that it can block malware and advanced attacks, even if they are of an unknown nature or completely new. You will find the new technology is contained within Windows Defender Advanced Threat Protection (ATP for short). ATP has been transformed beyond what you currently know. The software will be expanded to a suite and include features and capabilities such as "Windows Defender Exploit Guard, Windows Defender Application Guard and substantial updates to Windows Defender Device Guard and Windows Defender Antivirus." Particularly interesting is the new Windows Defender Exploit Guard which makes the Enhanced Mitigation Experience Toolkit (EMET) native to Windows. Also, with the Fall Update, Windows Defender ATP will arrive on the Windows Server OS. For many of the AI functions information from the Microsoft Intelligent Security Graph (ISG) is used. Thanks to Microsoft data science and machine learning dynamically creating rules and policies, day-0 malware and hacking threats should be halted on the first Windows 10 machine they encounter. The ATP suite and new features will initially be delivered to business, enterprise and server OS customers. However Microsoft does plan a roll out "for all customers" eventually, reports CNet. That's only fair as the AI learns from all 400 million Windows 10 computers active around the world. 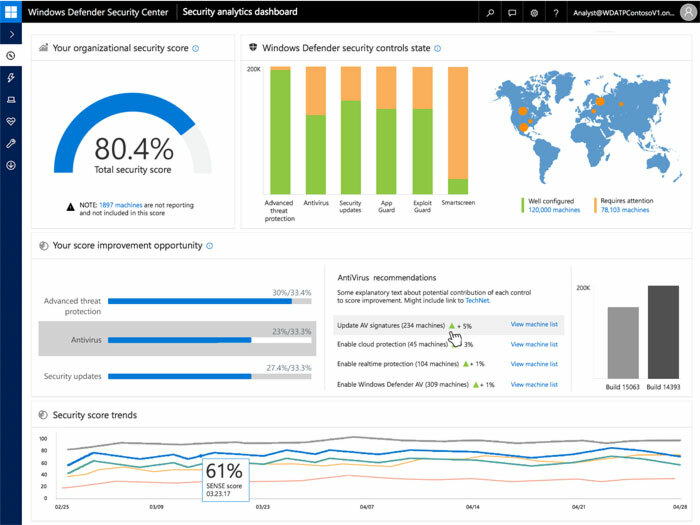 For a more detailed technical look into the new Windows Defender ATP you can check out the newly published Microsoft TechnNet post on this very same topic. They have seen Terminator 3, right? If they wanted to ‘harden’ Windows maybe they should start with removing some unneeded features and/or services, instead of Windows being all you can eat it should be à la carte. One of the big key issues (partner of Sophos) is that this is anti competitive. There is already a potential suit going ahead by some big name vendors against Microsoft because it is damn near impossible for clients to disable defender. I have all the Group Policies set in my organisation but that bloody icon is still there. Additionally ATP is nothing new, welcome Micrsoft to 2009.